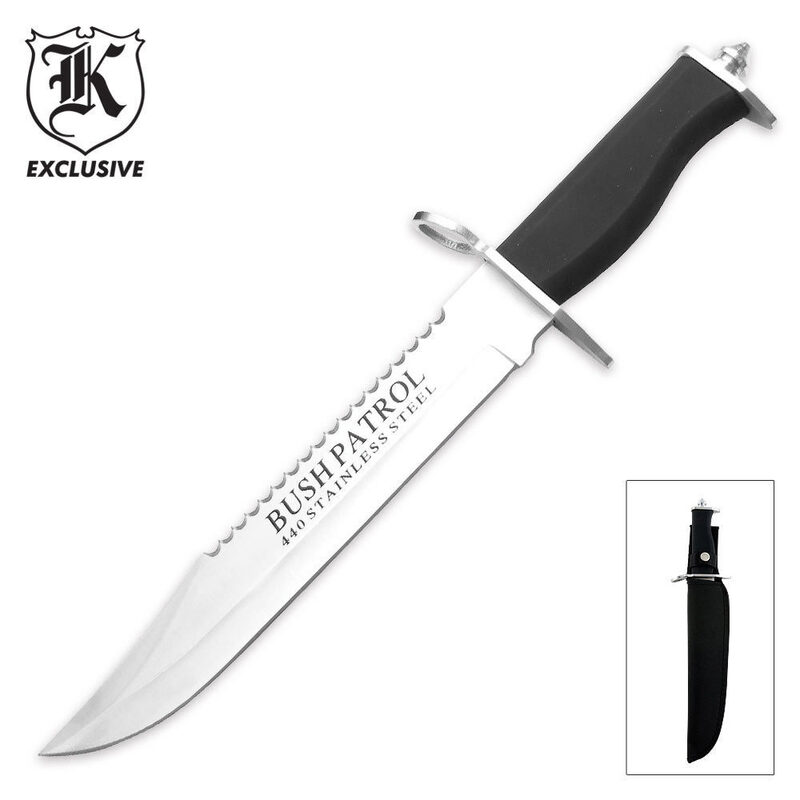 Bush Patrol Survival Bowie Knife | BUDK.com - Knives & Swords At The Lowest Prices! This Bush Patrol Bowie Knife from Cut was created with 440 Stainless Steel to provide top quality and provide a classic look and feel. The Bowie Knife has long been known as man's hunting knife, and this version does not disappoint. The top of this knife is serrated for even greater, dual performance. The silver blade is 9 7/8"; total length is 14 7/8". Includes nylon sheath.